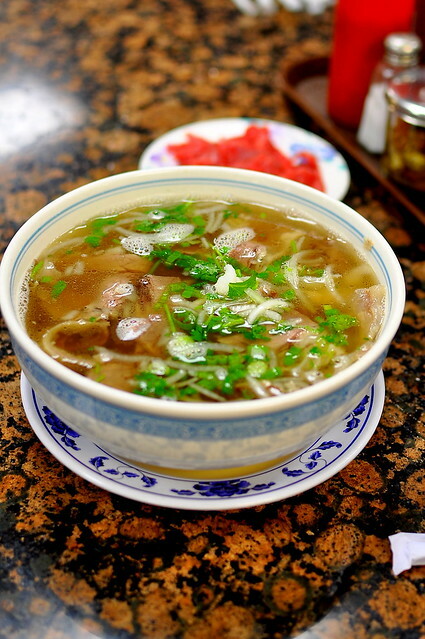 Linh Phuong Nguyen makes my favorite bowl of southern style pho bo (Vietnamese beef noodle soup) at Phở Filet, a worn-in restaurant straddling the border between Rosemead and South El Monte. 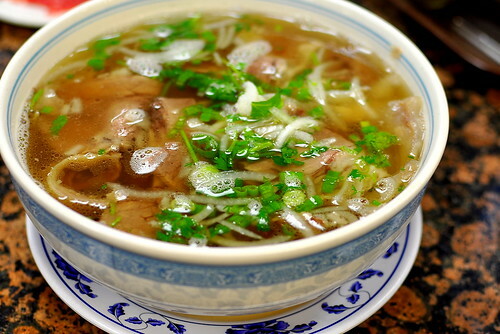 While the filet mignon that comes standard with every bowl is a cut above the rest, it’s Ms. Nguyen’s unparalleled broth that distinguishes her product from the dozens of pho hawkers in town. Beef bones are carefully simmered to yield a rich broth that is as clear as it is flavorful. 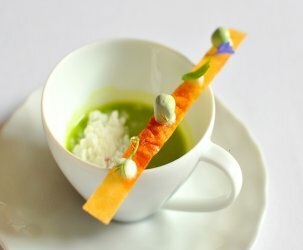 An underlying sweetness, as well as a rush of cinnamon and anise, adds further complexity to the soup. 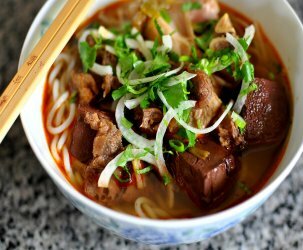 The well-tended broth is poured over springy rice noodles to order, along with cuts of filet mignon, brisket, tripe, and a flourish of cilantro and thinly sliced onions. 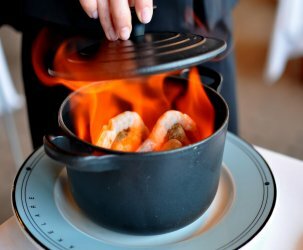 For an even more luxe experience, request the rare beef to be served on the side to avoid overcooking. Plenty of fresh Thai basil, beansprouts, sawtooth herb, limes, and jalapenos are on hand for garnishing to taste. I’ve gotta try this place! I know it’s always going to be a great bowl of pho when the restaurant serves sawtooth herbs. I need some of this to cure my mini cold. Apparently there is some good pho here in Chicago, but I haven’t tried it yet.